This article describes how Web services play an important role in several fields such as e-commerce and e-health. As the number of Web services is increasing rapidly, finding the best Web service according to users' requirements becomes more challenging. The traditional method of Web service discovery is based on keyword match. Due to this, many Web services which are most relevant to the user request are left undiscoverable. Some other emergent approaches are based on semantics to improve the quality of the discovered Web services in terms of relevance and satisfaction of user's need. In this paper, the authors present a survey of existing semantic Web services discovery approaches giving priority to relevant ones. 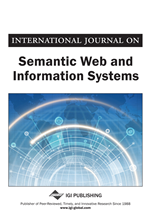 Furthermore, this paper provides a critical and comparative analysis of the studied approaches and stands out major challenges to be addressed to substantially enhance the semantic Web service discovery. Since its creation in 1989, the World Wide Web has become into one of the largest public information sources: some reports have pointed out that the indexed Web contains at least 4.84 billion pages (De Kunder, 2016). Moreover, the proliferation of service oriented systems is leading to the emergence of large sets of Web services (WSs) in different fields. Though the large amount of information available on the Web is one of its main positive aspects, it also has a negative side: the vast number of WSs makes difficult for users to find the one they are looking for. Usually, in the web service model described in Figure 1, a service provider offers Web services which provide functions or business operations that can be deployed over the Internet and accessed through the registry; a Web service requester looks for a suitable WS by sending its request to the Web service registry then invoke the selected WS (Thuraisingham, 2010). In this scenario the registry of services is open to every service provider and consumer, and free of charge. It functions both as a registry and a search engine for establishing B2B contacts in an automated way (Hagemann, 2007). Consequently, users need appropriate tools to help them to look for the WS that meets their requirements in order to take full advantage of the information stored in the Web services registries. We refer to this process as Web service discovery which is the “whole process of retrieving services that are able to fulfill a need of a client” (Küster, Lausen & König-Ries, 2008, pp. 41-58). WSs discovery is an important part of the WS system architecture. Ngan (2010, July) affirms that discovery is the most important task in the web service model because web services are useless if they cannot be discovered. A large number of web service discovery systems have been developed. The Universal Description Discovery and Integration registry (UDDI) is a well-known example of this kind of tools implementing the WS description file registration, management and retrieval based on centralized approach (Dustdar, 2005). It is a public, distributed, xml based registry, where the descriptions about WSs are stored for others to access their functionalities. Simply, registering the Web service is called an advertising process. Dustdar (2005) details an example for using a centralized UDDI based registry. However, it still has some limitations. First, the WS discovery process is mainly based on looking whether keywords in a user query match the content of WS description document. For instance, the registry may omit other WSs referred to the same semantic information if these WSs have not the same keywords of the query. Second, WSDL (Web Service Description Language) documents describe only the functional and syntactic aspects of a service (a WSDL document describes the location of a Web service, its available operations and their associated messages and data types as well as the format of their result values). It does not support non-functional properties of services. Third, a service requester needs to spend lot of time in finding the appropriate and relevant WSs based on his needs which is one of the most lonely and time-consuming tasks. Thus, such a registry’s service discovery mechanism does not provide fast and accurate service discovery due to its poor expressiveness of query language. Besides, with the rapidly increasing number of WSs, a registry's own service discovery efficiency and accuracy is being greatly affected. A series of questions concerning the methods and procedures to discover the most suitable Web service arises.